A petition to save a large group of kangaroos from being culled in Baldivis has reached over 15,000 signatures. About 100 western grey kangaroos, that have lived on Paramount Estate on Baldivis Road for years, are scheduled to be killed in the coming months to make way for a new residential development. The developer, Spatial Property Group, initially applied for a licence to shoot the animals on site, but the Department of Biodiversity, Conservation and Attractions (DBCA) came up with a revised plan to first tranquilise and then euthanise the animals. 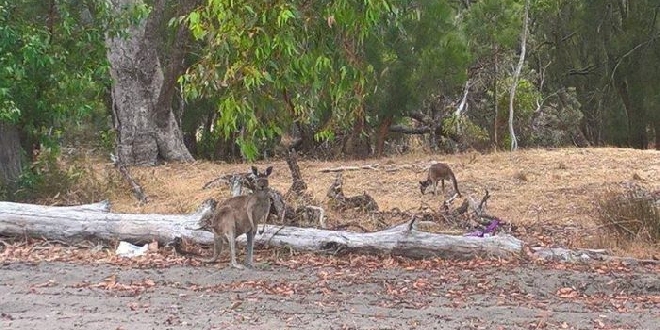 Residents are calling for the kangaroos to be relocated to other areas including Tamworth Swamp or the Baldivis Children's Forest but the DBCA does not agree. "Relocation of large numbers of kangaroos can result in poor animal welfare outcomes as the areas into which they are placed already have kangaroo populations that are using all available resources," a DBCA spokesperson said. "The relocation process itself can also cause stress to the animals, which can result in their death despite best efforts." Baldivis MP Reece Whitby said he has contacted the City of Rockingham and DBCA to try and come up with an alternative. "Clearly, we need a much better way of treating displaced Kangaroos," Mr Whitby wrote in a statement on Facebook. "Leaving Kangaroos to be boxed in and stressed because of lack of food and water is no way to treat these animals. "Action needs to be taken much sooner and the aim should be trying to find a place to re-locate them where the kangaroos can safely re-establish themselves." A petition has been set up on change.org urging the DBCA to stop the cull. By Tuesday morning it had reached 15,776 signatures.